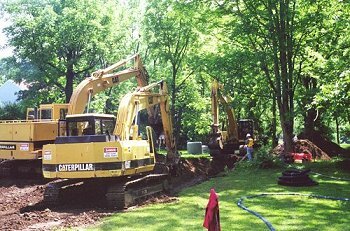 Water, sewer, storm drains, and gas line installation and repair. 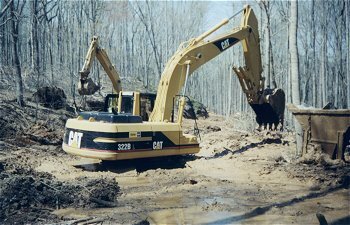 We have experienced personnel and the necessary equipment to handle your needs. 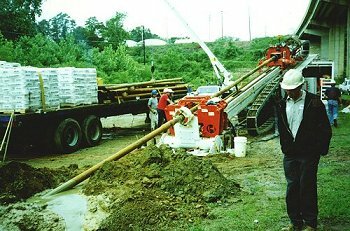 Prillaman & Pace Inc. at Virginia International Raceway installing water and sewer systems to accommodate projected growth at this word class facility. 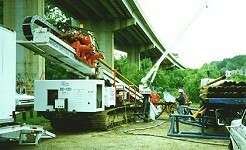 This project was under contract with Halifax Co.
Prillaman and Pace installed a sewer line underneath the Dan River in Madison, NC, using state-of-the-art Directional Drilling techniques. 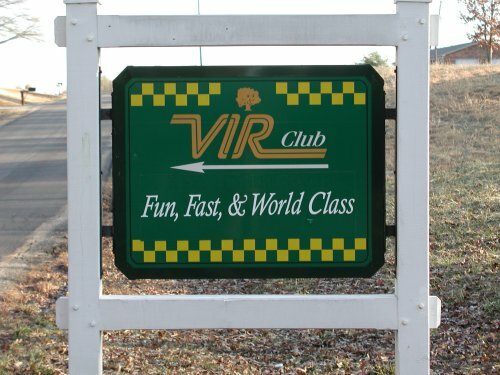 Virginia's "Smart Road" is a joint project of Virginia Department of Transportation, Virginia Tech?s Transportation Institute and Federal Highway Administration. It is a test facility for intelligent transportation systems, with the unique ability to generate various forms of precipitation. 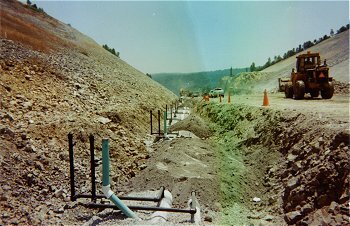 Prillaman & Pace installed underground water and high-pressure air piping for the 1.7 mile, 1st phase of the project. The entire project is planned to be 5.7 miles of four-lane highway. 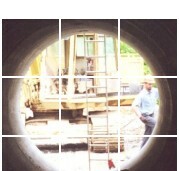 Amelia County, Virginia Sewer Interceptor line.